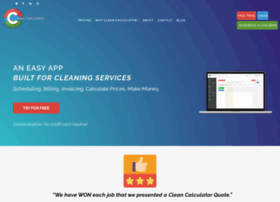 Clean Calculator is a trusted janitorial estimate and bidding solution to manage your home or commercial cleaning business. Secure and convenient web-based software trusted by industry leaders. Contact Clean Calculator today to begin your free trial.